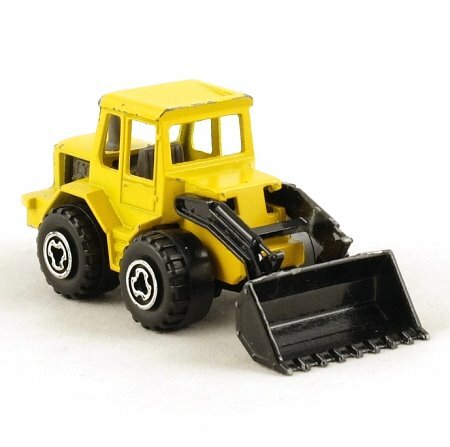 Yellow, black shovel and base, grey interior, engine and exhaust. Shovel may be raised and lowered. Wide black plastic wheels with chrome hub detail. Good played-with condition, some paint loss around the edges.